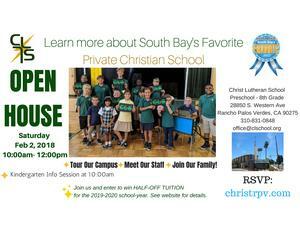 Looking for an awesome Christian School in the South Bay? 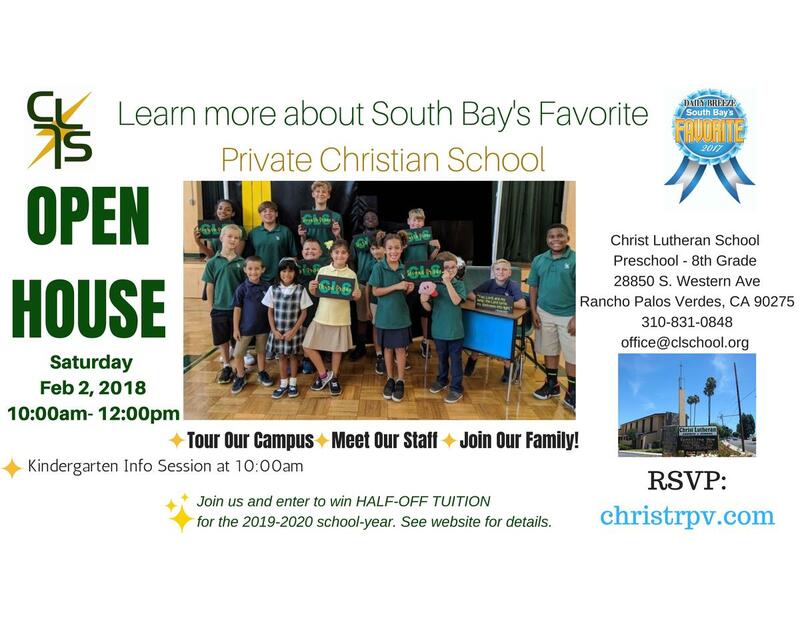 Come tour our campus and meet our staff, students and families at our Open House on Saturday, Feb 2 from 10:00 am - 12:00 pm with a special Kindergarten Information Session at 10:00 am. While you are here you can enter to win HALF-OFF Tuition for the 2019-2020 School Year! Details below. Please use this link to RSVP to our Open House.